Digital media has taken the world by storm. The labyrinth network of the World Wide Web has effortlessly engulfed us into its spell. 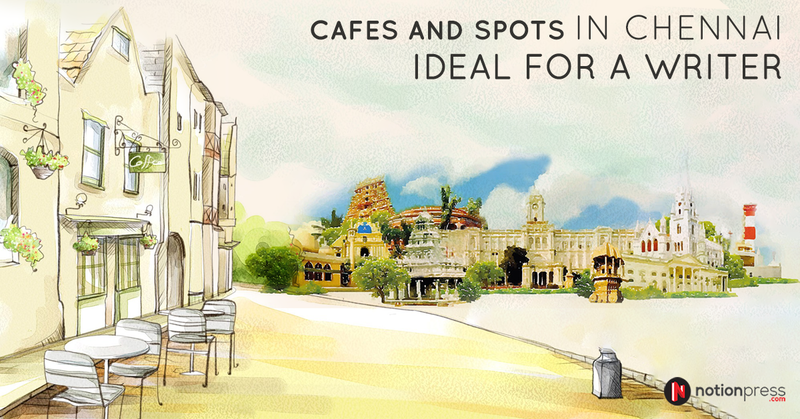 In today’s digital world, there is an app or a tool for every act right from booking a cab to ordering food. When it comes to indulging in the plethora of services and helpful tools provided by the magnificent Internet, we writers are at a huge advantage. Gone are the days when writing a book involved using an old-school typewriter, a scribbling pad and tonnes of coffee. 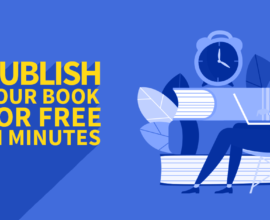 With the abundant writing and editing tools available online, all you need is a laptop, a good Wi-Fi connection and oceans of creativity to come up with a spectacular international bestseller. 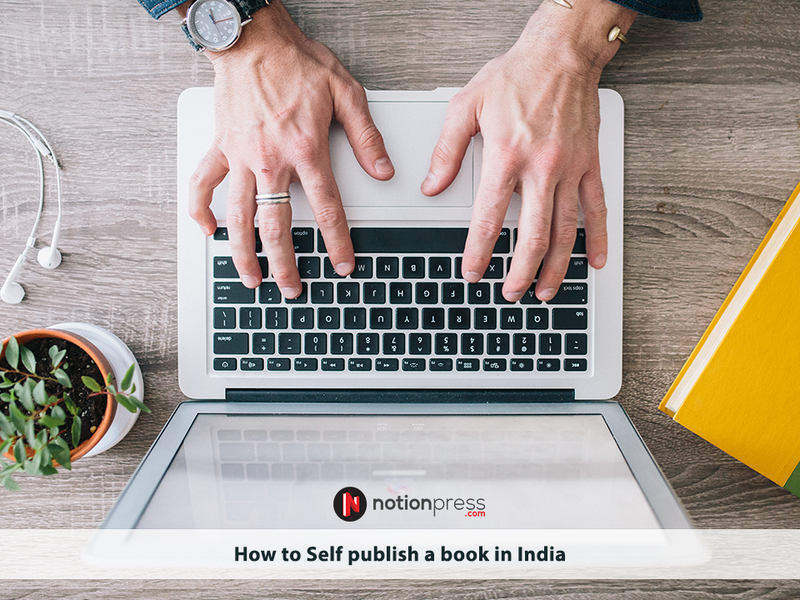 We, at Notion Press, understand the twists and turns every author faces and have hence consolidated the best tools available on the Internet, which make writing a book a therapeutic experience. The key to any success story is being organised and productive. Keeping this mind, we have a list of productivity and distraction free tools that will help authors stay focused. If you are looking to set goals and make sure you achieve them, BlankPage should be your go-to tool. 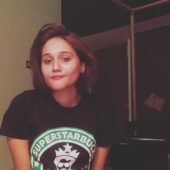 BlankPage is a distraction free writing app, which gives you detailed statistics about when and how you write, reminders about your writing and also shows you interesting and inspirational content. The tool is available at $8 a month, and it works on all devices. As the name suggests, this magical tool ensures you write with a calm mind by removing all distractions. Calmly writer also has a function called “focus mode” that only highlights the parts you are editing. Everything you write is also automatically backed up, so you never have to worry about losing your work. All of us have the habit of taking down notes. Bits of information, things to do or gentle reminders are the most common reasons for which we take notes. Evernote is one useful tool for writers. It is an online note-taking application. It is similar to the Google keep the app or an MS-One note. It records your thoughts, notes and photos for future reference. It has now introduced a new feature called Work chat which enables you to message instantly to the people with whom you have shared a particular document. It works really well if you are collaborating with someone on your document. Our phones and the internet is the greatest invention by the humanity. However, they can also distract us from that important task that we have set for ourselves. So how do we solve this problem? That is where the Freedom tool comes in. With Freedom, you can block apps and websites on the device you are working on and focus on being more productive. The tool is easy to use; just select your device and set a schedule and voila, it’s done. According to Freedom, its users gain an average of 2.5 hours of productive time each day. You can start a free trial and then cover all your devices for less than $2.50 a month. Being organised is the only way to ensure that any project meets its deadline and writing a book is no different. Trello is not a tool built just for writers, but the tool’s easy-to-use interface makes it an excellent option for writers as well. You can create boards, lists and cards with Trello, which will help you organise and prioritise your work. The best part about this tool is that it is free. Writing a novel is a dream for almost all writers, and this dream requires more than just an idea. When you actually sit down to write, you realise that publishing a book requires research, creating the characters, structuring the story, writing it, formatting the book and keeping track of your work. 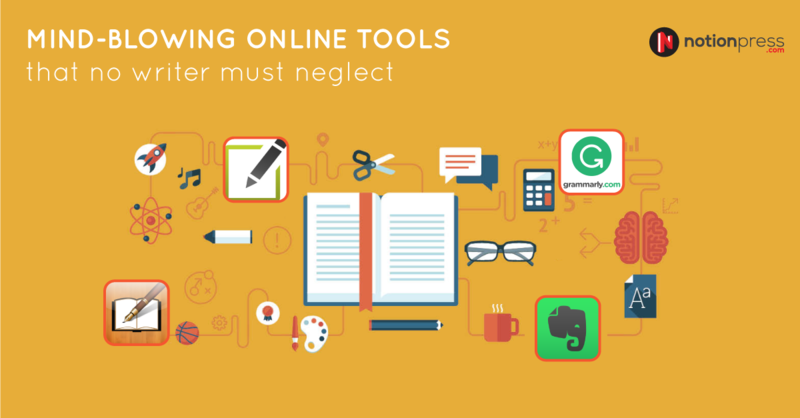 Here is a list of top writing tools. Novelize is a mobile-optimized writing tool that offers you the freedom to write anywhere with an Internet connection. 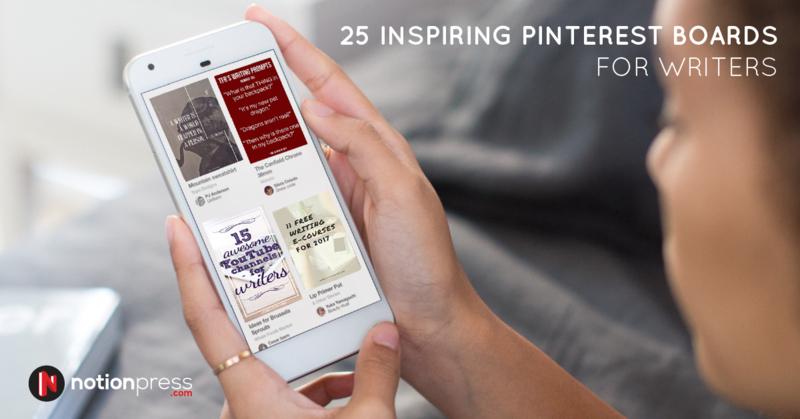 It works on smartphones, tablets, laptops and computers and has an array of helpful features for all budding authors. You can choose to write your manuscript in the outline mode or write mode and keep track of valuable information in the notebook panel. Additionally, you can also track your progress in the progress tracker and organise your novel with a convenient autosave option. This effective tool is available at a price of $5 per month or $45 for a yearly subscription. Scrivener is a quintessential writing studio, which helps in organising and structuring long-form content. It also offers formatting and proofreading options. Other than novels, if you regularly write blogs, podcasts, scripts or speeches, this can be the right word processor for you. Just like the full-screen mode of viewing in your system, where there is little scope to get distracted, this tool offers a distraction-free mode while typing. This aspect is really important for a writer. Scrivener is priced at $40 per year. Writer is a quick and distraction-free writing app used by renowned authors worldwide. It has a plethora of extraordinary features which assists you at every mode of writing. This full-screen writing dashboard provides a user-friendly environment with autosave and privacy options. It also offers writing goals, markdown formatting, revision history, a built-in thesaurus and an automated archive of all your work. Ywriter helps you sequentially arrange your novel or screenplay based on chapters and scenes and then write as per the relevant scene which comes under the corresponding chapter. So in future, you might not have to rename the saved text and recheck the entire database to see where the actual scene fits in. It saves your time and makes your work organised and structured. It is more like compartmentalising your living room into spaces like space for your TV and other space for the furniture. Copyscape is one of the oldest, popular, original, and the most used plagiarism checker available. With its premium version, you can check the content for duplication and see if your work is original. It accurately compares the text you’ve keyed in with billions of other documents and web pages on the Internet and gives you a detailed analysis of the plagiarised text. If procrastination is your biggest enemy, then FlowState is the best solution. This innovative tool is a mind-blowing word processor with a unique feature of deleting your data if you are idle for a particular span of time. This distinctive factor pushes you to work faster and reduces your rate of getting distracted by a large extent. You have finished your first draft of your book. Well, congratulations! However, the biggest part of the journey is just beginning. Editing can be daunting, but these tools will make your life slightly easier. Grammarly is the premium editing tools used by authors worldwide. It is available as an online dashboard or a Google Chrome plugin. This tool offers you the convenience of either writing on the dashboard directly or uploading your work for evaluation. The editor performs an accurate grammar check with keen attention on confused prepositions, repetitive words, misspelt words and the overuse of passive voice. As the name suggests, AutoCrit scrutinises your manuscript and provides you with constructive criticism for proficient writing which can be published with conviction. This self-editing software strengthens your writing skills with extensive word suggestions, perfectly scripted dialogues, uniform placing and an acute repetition check. These expert features make AutoCrit the perfect editing software for both budding writers and published authors. If you are not a fan of automated correction and prefer studying the suggested changes in your manuscript, then SmartEdit is the perfect editing software for you. This user-friendly plugin runs 20 different grammar checks on your work and emphasises on the areas that need more attention. It also provides you with a list of the redundancies, proper nouns, acronyms, misused words, suspect punctuation, cliches and much more. You can use this editing dashboard with a one-time investment of $67. ProWritingAid is a mind-blowing editing software which provides an abundance of grammatical corrections and improvements for a hassle-free editing process. It eradicates errors and provides you with suggestions of the right words with clarification for each correction. Additionally, the tool gives you an extensive explanation about the suggested changes, so you end up learning more about advanced grammar. You can now get the premium version at $40 per year and $140 for a lifetime. This language checker focuses on the spelling, style and grammar of your manuscript. Furthermore, it highlights misused words and even provides an elaborate explanation of the corrections given. The grammar check focuses on basic segments like confused and repeated words. It also provides an advanced grammar check and checks for clichés and eliminates the passive voice in the manuscript. CorrectEnglish is a brilliant editing tool tailor-made for global and multilingual writers. It provides instant proofreading by evaluating your work with thousands of grammatical tests and has been rated as the most precise grammar checker for years. It has a variety of writing tools and tips along with licensed multi-lingual research tools, which are ideal for authors as well as students. This tool is available at $120 for the first year subscription with renewals at $20 every consecutive year. The Hemingway editor is a desktop app, which evaluates your manuscript by scoring it based on readability. It also highlights regions of your work with a special colour code. Each colour represents a particular grammatical issue. For example, lengthy sentences are highlighted in yellow and complicated sentences are highlighted in red. This will give you a clear understanding of the areas you need to work on. It also highlights passive voices, extensive use of adverbs and provides simpler alternatives to complex phrases. You can buy the Hemingway editor at $19.99 for both Mac and Windows. This grammar and plagiarism checker is all you need to strengthen your copies and create a bold manuscript worthy to be a bestseller. PaperRater does a vigorous grammar check on your work with a multitude of writing suggestions and corrections. It also provides a plagiarism score on your manuscript by comparing your content with billions of other documents on the web. You can now buy the premium version of this software at $95.40 per year or at $14.95 for a month. There is no better feeling than seeing your published and printed copy of your book. All your hard work has paid off! While this is true, the next obvious step would be to make sure you book is marketed to the right target audience. Marketing your book involves a multitude of channels. From book launches, making a book trailer, building an author website to marketing on social media platforms such as Facebook, Twitter and Quora, marketing is an important aspect author cannot ignore. WordPress provides you with customisable, mobile-ready designs and themes, which are user-friendly. Wordpress is the go-to option for building a website. Just choose your theme, pick a domain, select a plan, and start building. Wix is one of the easiest website builders. With an easy, do-it-yourself, drag and drop interface, Wix does a fabulous job at building your website. The tool is free of cost, and all you need to do is pick a template that suits you and creates the website. Hootsuite is a social media scheduling tool where you can manage channels such as Facebook, Twitter, Google+, LinkedIn, MySpace and Foursquare, blogging on WordPress. It also has real time analytics, which will help you track the ROI of your social media campaign. Price: 30-day free trial – Individual plans to Organisational plans ranging from Rs.1260 to Rs.32000 per month. Measuring your marketing efforts is the most important piece of your marketing puzzle. The best way to do this is using Keyhole, a tool that analyses your social media posts and tells you exactly what is working. MailChimp is one of the best email marketing tools that a marketer has. You can connect your business and send emails to your network and build your brand. If you are just starting an email marketing campaign and have 2,000 or lesser subscribers, MailChimp lets you send up to 12,000 emails per month free. PDF is the most commonly used reading format, thanks to ready-made availability and easy download options. PDF layouts are very professional, so they are and mostly used ideal to share information. If your novel is of the biographical or factual genre, this format should suit your eBook best. For those authors looking to go exclusively with their EBooks, the iBook format offers a similar reading format to that of EPUB but includes coding that restricts it to use only on iOS devices. 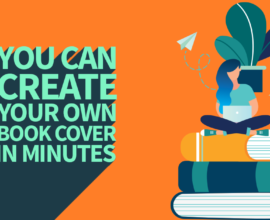 Canva is the one-stop destination to create amazing graphics for your book. Its simple drag-and-drop feature and thousands of creative layouts make design simple for everyone. You can start designing instantly with millions of images to choose from, stunning fonts and easy-to-use photo filters. These practical designing tools can also be used to design social media posts, blog graphics, posters, menus, album covers, presentations, business cards and much more. Whether you are planning to print your work, or opt for an e-copy, this tool is extremely handy when it comes to design. The Adobe Creative Suite is the ultimate software suite used for graphic design and video editing. It comprises of well-known design applications such as Photoshop, Illustrator and InDesign to name a few. Adobe Photoshop is the most common editing software used to retouch digital images, edit video frames and render content. Adobe Illustrator, on the other hand, is used to edit vector graphics, which are mostly used in print publications. Adobe InDesign is a desktop app used to design posters, magazines, newspapers and books. 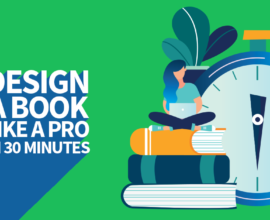 This powerful suite offers all the tools and software needed to design your book and is an important design resource to bank on. 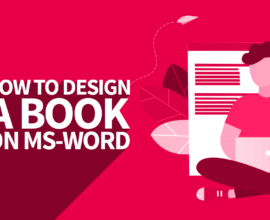 If you are looking to a more list of design tools, read our blog on the top ten design resources for authors. Now that you have all the tools in place, start writing your best seller. 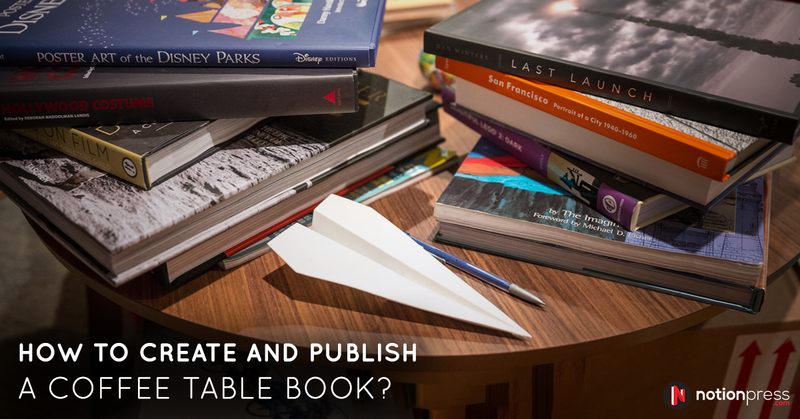 When your manuscript is complete, approach Notion Press for a hassle-free publishing experience and help us help you make your novel an International bestseller. I am finding this article very useful and It may help many wannabe writers, and I am one of them. but I request you to publish a article how to get away with writer’s block. If you want you can write to me separately I am more than happy to write a guest blog.